ITHACA, NY (WSKG) – An expert on the opioid crisis says President Trump’s focus on the U.S.-Mexico border overlooks important facts in the ongoing crisis of overdose deaths. Shannon Monnat, professor of public health at Syracuse University, has spent years looking at what the opioid crisis is doing to communities across the country. Monnat says the national emergency is an example of how current policies don’t help. To Monnat, that overlooks one important fact. 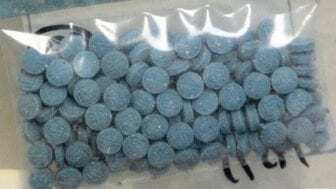 The recent convictions of two Elmira men for importing fentanyl from China included charges that the pills they made and sold killed two people.